Purchased as a 2 yr old we had many problems. 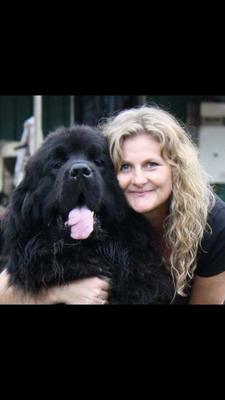 Angus is my fourth Newfy but the first that I had ever seen be so aggressive. He did not respond well to us initially and even growled at us. With lots of love, training and patience Angus is now well settled and responding to commands and cuddles. I just adore him but I'm sure if he had gone to a different home he may have been euthanised. He is a big teddy bear.